London-based Ninety describes itself as an organisation that helps insurers behave more like start-ups. Working with insurers around the world, it aims to bring low-cost, fast-paced, customer-centric experimentation – the type we tend to associate with tech hubs Silicon Valley or Shoreditch – to the big boys of insurance. Its roster of clients boasts international names including Allianz, AXA, Zurich, and RSA, as well as UK brands like LV= and Direct Line. But there’s a twist too: Ninety is a social enterprise, which means that while it competes with the likes of Deloitte, McKinsey and IBM, it actually gives away its profits – 90% to charitable causes, and 10% to its own team. 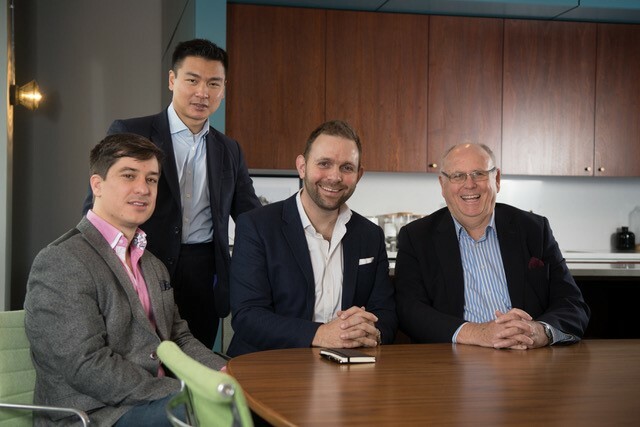 As a Group company, Ninety also invests in a number of new ventures and seedling businesses, with a view to “widening the model out” beyond its current value proposition. Insurance Business spoke to Ninety founder Dan White, to find out what drove him to start a social enterprise firm, the highs and lows of the journey so far, and what’s next for the company. 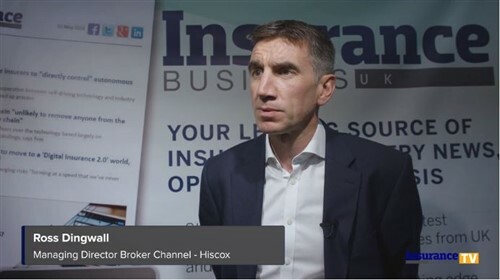 Insurance Business: How did you go about founding NINETY and why? White: Some people have a business for lifestyle. Others have it for a clear purpose. We’re in the latter camp: Ninety has a strong “why”, which is to do good business for our clients, and then use our profits to do good for society. I grew up in Burundi, the world’s poorest country, and – having experienced the level of need in the Third World – wanted to build a scaled business that could create a significant impact through distribution of its profits. What was your background prior to founding the company? I’m technical and analytical by nature, and started my career in web development, back in the days when the Internet was the Wild West. I spent a long time in digital agencies, working particularly as a delivery lead for digital transformation for insurers. I led major digital or innovation initiatives for Aviva, MORE TH>N, Allianz, Direct Line and LV=, and ended up running one of the larger digital agency businesses in the UK. What are some of the challenges you’ve faced in building Ninety? Challenges have all involved people. In early days, the disbelief of the doubters was a knock to my confidence, but that has largely faded now. A bigger challenge was to make sure that we hire people who have an alignment to our mission and values. I made some bad calls on that early on. Like any business, we’ve also had our ups and downs, and – with hindsight – I’d pay far more attention to company financials, and particularly the cashflow. Ultimately, though, it’s been a good journey, and the challenges have all taught me valuable lessons, or toughened my resolve. The first is being recognised for doing great work. Last year, we won four major industry awards, and were shortlisted for another five. We beat several of the big four global consultancies to several interesting projects, and maintained our track record of long-lasting client relationships. The second highlight follows from the first: every Christmas, we get to make our 90% donation. That’s the best moment of the year. All of the hard work comes together, and we get to do something that makes a significant difference. Just recently, this Christmas 2017, we were able to donate £125,000 from the Ninety business to the Ninety Foundation. Depending on what charity or social partners we give that to, we expect to be able to impact at least 50,000 people in developing countries. For a business that’s just five years old, we’re loving being able to do that. Where do you hope to take the business in 2018? More of the same, for more clients and in more geographies. And some new things, too. On the latter, we’re spinning up our own innovation and ventures process, putting our own money into a series of new promising start-ups and ideas put forward by our teams. I’m looking forward to that. In terms of the existing proposition, we continue to look after our key client accounts like Zurich, RSA, Direct Line and Allianz, but have also been humbled to be approached in recent months by several new large businesses to help them behave more like start-ups. We’ll be strengthening our delivery teams to support these, adding extra quality management processes, and extending our methodologies. We’ll also be running a series of peer workshops around some thorny challenges. These are great at bringing people together from across insurance, and letting them learn alongside each other. I learn as much as anyone at these events, so I’m looking forward to that, too.